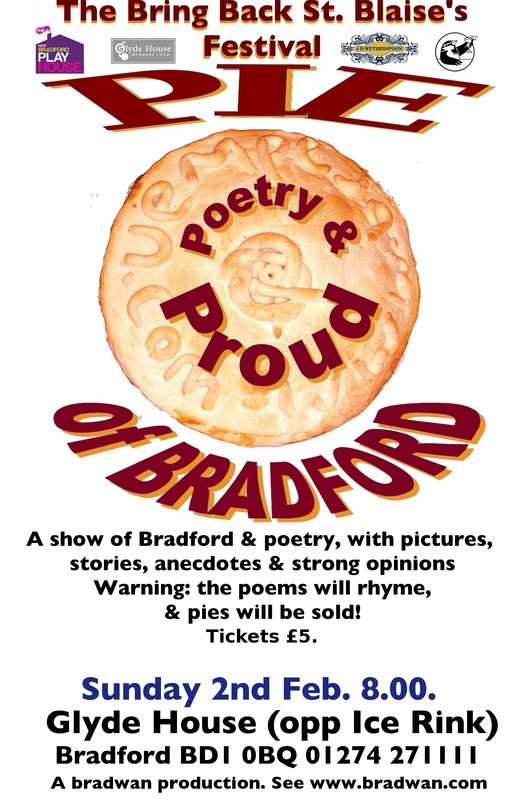 Pie Poetry & Proud of Bradford poster | The Glyn Watkins Show Page. & pies will be sold! ← Event poster for full festival.